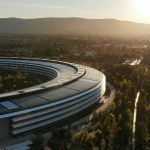 A giant destination architecture spaceship HP apparently isn't enough expansion for Apple, as the company has reportedly leased 290,000 square feet of additional office space in Sunnyvale. According to The San Jose Mercury News, Apple has signed a 7-10 year lease on a space known as Sunnyvale Crossing. There are no details on what or whom Apple plans to house in Sunnyvale Crossing, and terms of the deal aren't available. The complex is located at the intersection of Wolfe Road and Central Expressway, and it has 7 buildings. The office complex is not too far from both Infinite Loop—Apple's existing headquarters—and the UFO building being built on land once owned by HP, as shown in the map below. 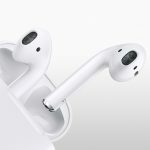 Apple already has multiple office buildings around Infinite Loop, and the spaceship building will be 2.8 million square feet, but the company's growth apparently needs even more space. 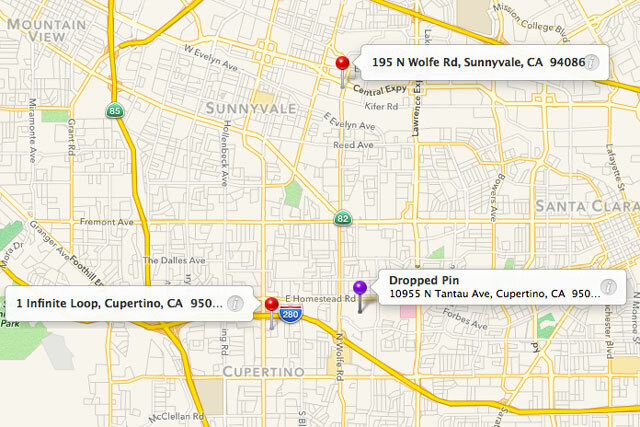 In the Apple Maps image below, Sunnyvale Crossing is represented by the red pin at 195 N. Wolfe Rd. Apple Campus 2, the so-called spaceship HQ, is represented by the purple "Dropped Pin."